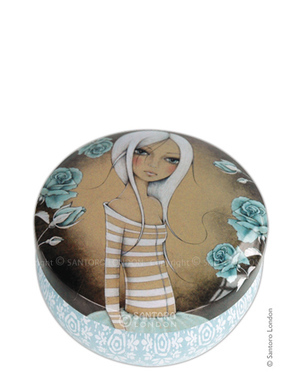 This artistic tin is sophisticatedly suitable for storing trinkets, treasures and other pretty things. 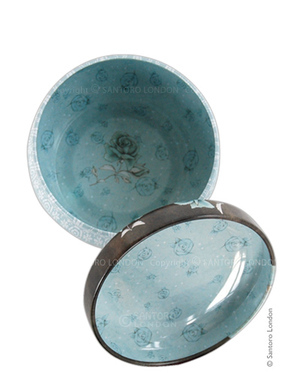 The lid has the elegant image In the Garden, and the base has complementary prints in ice blue and aqua, with elegant blue roses printed inside. Too pretty to put away, this item was made to be seen on your dresser, bookshelf or windowsill.